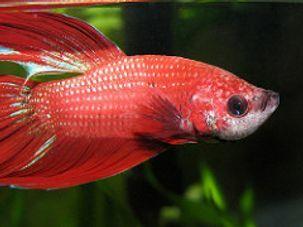 HomeAll Posts...Betta Fish: What Size Tank Should I Get?  If you’re interested in getting into keeping Betta splendens and want to set up your first Betta tank, the conflicting information out there might have you confused about the ideal tank size. The Internet, pet stores, fellow aquarists: everyone has their own opinion on what a Betta fish tank should look like. In this article we’ll try to settle this issue for you once and for all. Keep reading for everything you need to know about Betta tank size! 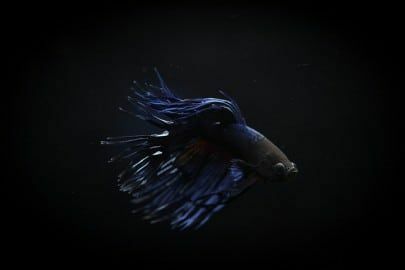 Let’s start off with the most important part: although many sources out there will tell you a Betta can be kept in a bowl or vase, this is unfortunately not the case. Your Betta will quickly perish if you don’t keep it in a proper aquarium and we’ll tell you why below. So, you’ll definitely need an aquarium to keep your Betta in as you would with any other fish. Although some say an aquarium of at least 2.5 gallons (9.5 liters) is appropriate, we’re not a fan of keeping Bettas in tanks of this size. It’s still a very tiny water volume and doesn’t offer much room to swim, which is theorized to eventually possibly cause problems with obesity in your fish. Additionally, anything under 5 gallons will be quite difficult to keep stable, especially if you’re a beginner. Although Bettas are quite hardy, stable water values and high water quality are still crucial to their health. Even if the tank is stable and cycled, a small mistake or something like a few pieces of decaying food can quickly throw everything off and cause harm to your fish. Based on the previous we prefer to recommend keeping Bettas only in aquariums of no less than 5 gallons (19 liters). These tanks are usually at least 12”/30 cm wide, which is a good amount of space for your Betta to patrol and explore. 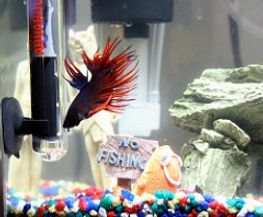 A wide tank is preferable to a tall one, because Bettas need to be able to easily dash to the surface to take gulps of air. As with all aquariums, your Betta set-up should always be filtered, heated and fully cycled. Our opinion on Betta bowls, vases and other tiny set-ups is clear: they’re bad. We’ve already briefly discussed some downsides of a small water volume, but let’s go into this a little deeper. What’s the problem with Betta bowls and other containers that are < 2.5 gallons? No room for equipment. Most of the tiny containers sold as Betta bowls or “tanks” offer pretty much no room to place all of the equipment that’s so crucial to keeping your Betta happy and healthy. Where does the filter go? And how about the heater? Thermometer? No stable cycle. Now, let’s say you magically managed to fit a filter into one of these bowls. There is still a problem: the water volume is unfortunately so small that the filter won’t be able to handle the bioload of your Betta fish. These tanks rarely really cycle and are very prone to fluctuations in water quality. Toxic concentrations of ammonia, nitrite or nitrate can quickly build up when you’re not expecting them. Daily 100% water changes could technically help, but having to adapt to new water values every day can stress your Betta out to the point of disease or even death. No swimming room. As mentioned earlier, even a small fish like a Betta needs room to swim. 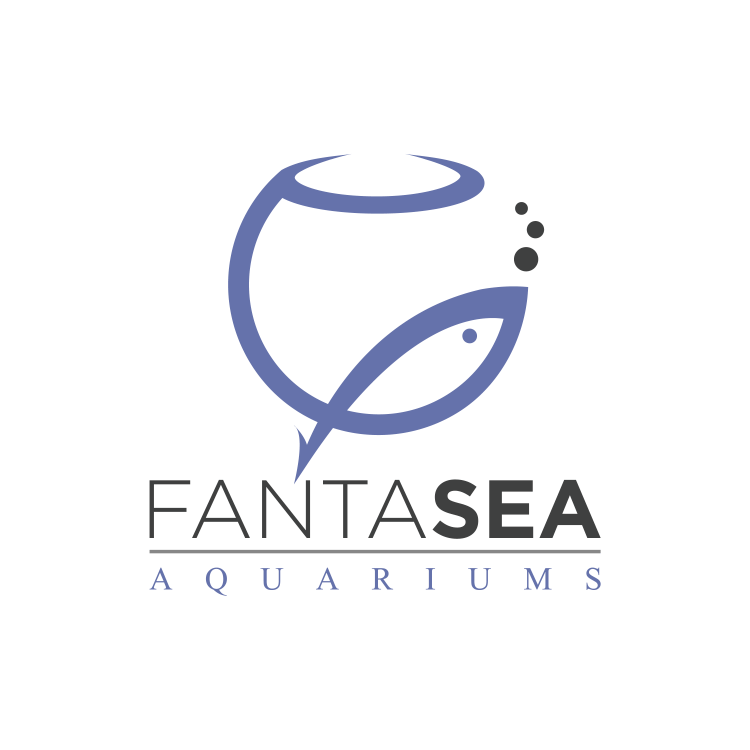 A Betta that’s not encouraged to explore can fall victim to problems related to obesity like fatty liver disease, which some aquarists hypothesize is one of the most common causes of death in ornamental Bettas. Because Betta splendens naturally occurs in calm and overgrown habitats you’ll have to provide something similar in the aquarium to keep your fish happy. Although your Betta needs a proper territory to roam it doesn’t like wide open spaces, so get to work with the décor! In need of some more information on what a Betta fish tank should look like for your Betta to thrive? We’ve got you covered with our article on setting up your Betta tank. 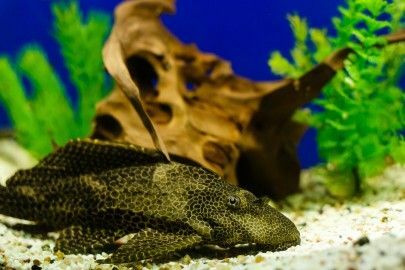 5+ gallon aquarium… filter, heater, cycle… décor and hides… if all this sounds like a hassle to you, don’t worry. 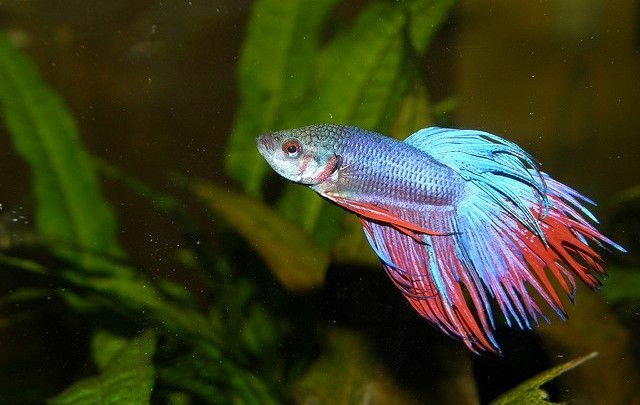 You can still enjoy the sight of a colorful Betta in your home.  FantaSEA Aquariums can set up and maintain any type of aquarium for you, including your Betta tank! Be sure to contact us for a quote here and we’ll get back to you as soon as we can.